NVIDIA CEO & co-founder Jensen Huang took the stage today at the company’s CES 2019 press event, issuing a strong claim that four million PC VR headsets have been sold to date. The two largest PC VR headset manufacturers, Oculus and HTC, have been cagey on providing sales numbers, although GPU manufacturer Nvidia might have a pretty good line on how many headsets have been sold since consumer PC VR came to market in early 2016. While the provenance of the data isn’t clear at this time, Huang implied, but didn’t outright state, that it was based on their own analytics. This could be the result of a their own internal data, official data shared with them by their VR hardware partners, or the result of analytics provided to company. 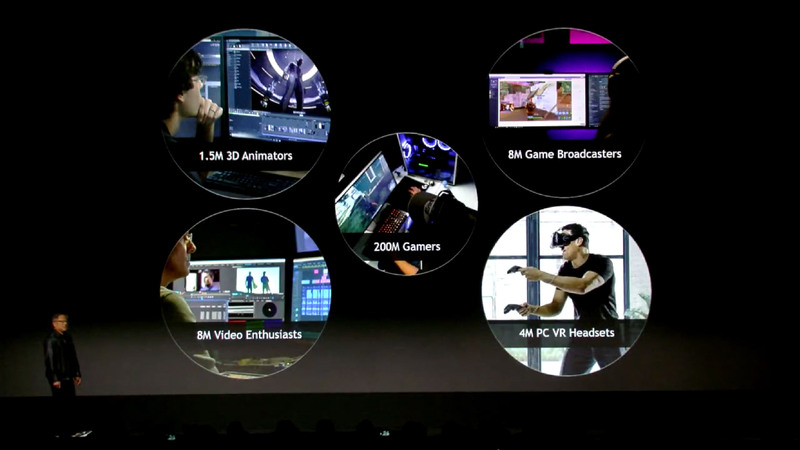 It’s import to note that GeForce Experience, the company’s software suite, already displays whether your computer meets the minimum standard to run VR, although it’s might also provide Nvidia with the information about whether a VR headset has been plugged in or not—an important part of the equation considering Nvidia makes up such a significant percentage of the GPU industry’s market share. We’ve reached out to Nvidia to clarify the source of the four million PC VR number, and will update when we hear back. We have feet on the ground at CES 2019 in Las Vegas. We’ll be reporting on all the latest AR/VR news this week, so check back soon.